Creator Nic Pizzolatto’s HBO series supposedly “broke the internet”, and proved one of the most passionately argued-over programs in recent television history, and with good reason, as this slowest-of-slow-burns drama is as dark and damn difficult as they come. 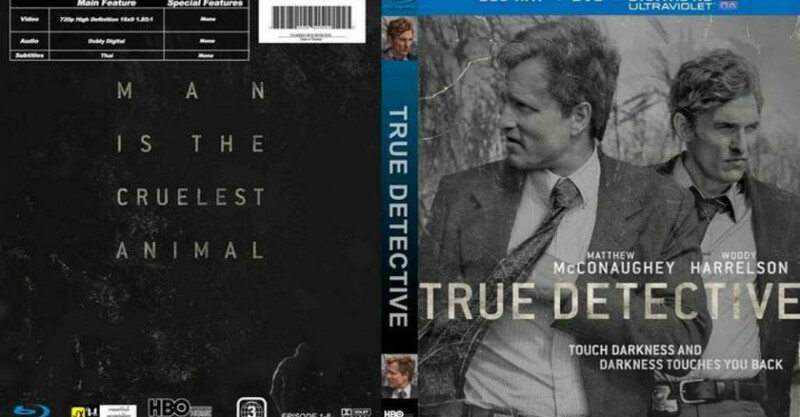 Detectives Martin Hart (Woody Harrelson) and ‘Rust’ Cohle (Matthew McConaughey still in emaciated form) are former detectives who are called before investigators in 2012 in relation to a case from 1995 where they worked uncomfortably together: the murder of a prostitute by a serial killer with occult overtones. Martin back then was a family man with two daughters and a long-suffering wife (Michelle Monaghan), while Rust seemed alone, haunted and full of secrets, and the pair are questioned years after the fact as we move backwards and forwards in time and explore frightening psychological territory, with McConaughey delivering quiet, twangy speeches about sicknesses of the mind, the futility of life and so forth with unsettling regularity. And perhaps this does prove a bit of a problem after a while: this one’s humourlessness means that some viewers will either be confused and alienated, or just start laughing at the po-facedness of it all. And yet, for those willing to bear with one of the most non-linear plots in small-screen history, this is rewarding – and disturbing as Hell. Rewarding – and disturbing as Hell.